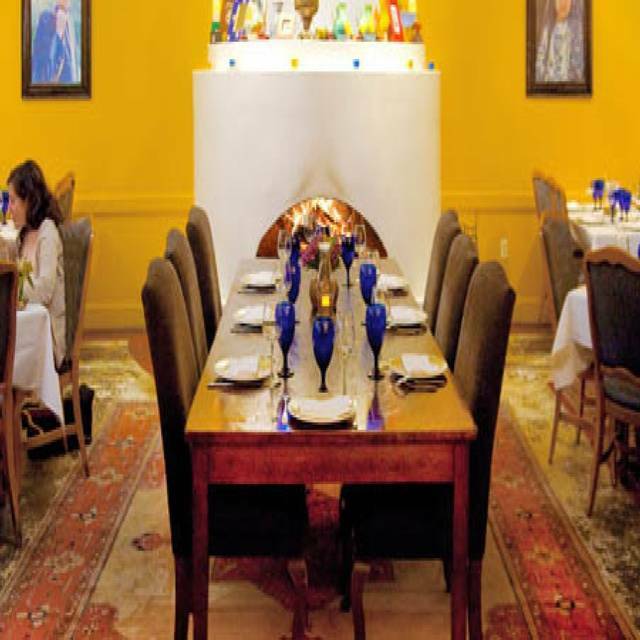 Helmand Restaurant offers Afghani dishes with a wood-burning oven where the famous flatbread is cooked on one side of the room and an intimate fireplace is on the other side. Appetizers include aushak, mantwo, kaddo and several soups such as aush and mushawa. Several vegetarian appetizer items are also available. Helmand Restaurant entrées include tasty choices like qabelee, which is pallow rice baked with chunks of lamb tenderloin, raisins and glazed carrots or mantwo, a homemade pasta shell filled with beef and onions. If you like spicy dishes, try the koufta challow, consisting of beef meatballs with Afghan seasoning sautéed with sun-dried tomato, hot peppers and green peas in a fresh tomato sauce. Several vegetarian entrées are also available such as the kaddo and banjan challow, which is pan fried and baked pumpkin and eggplant served with challow rice and yogurt garlic sauce. Great service and wonderful food!!! we went out to Celebrate my new job. Everything was amazing. This is my favorite restaurant. 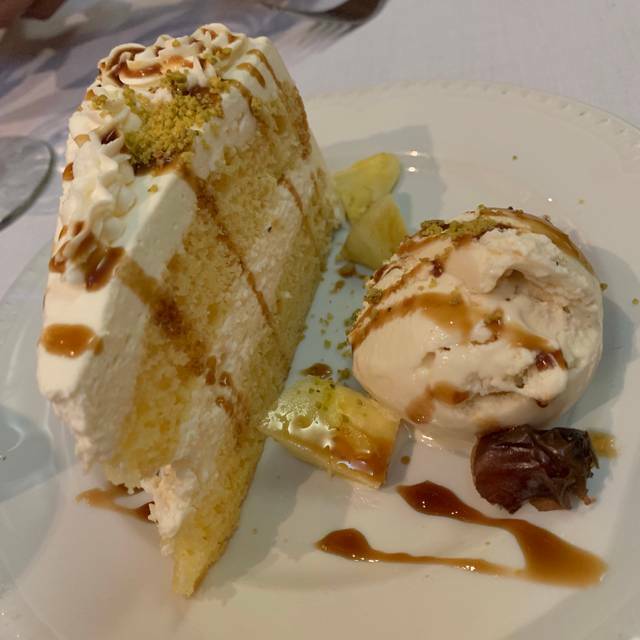 The food at The Helmand never fails to delight one's palate. There are so many wonderful dishes to choose from that you could keep going and trying new things. We had the Okra appetizer, the pasta with mint, herbs, and spices, and the chicken kebab. A delicious meal accompanied by warm bread and sauces. The service was lovely! Our dinner was delicious and Michael, our server, made the whole experience special. Thank you! We love The Helmand, especially when we can see the flames in the naan oven from our table. An amazing authentic food experience, with very hospitable staff. My complements to all. Be sure to have a reservation, and if you want a quiet room ask for the back room. Or your table can skirt the large oven used to make bread. The food is fantastic, everyone loved their dishes. Whether you're a meat eater or vegetarian you'll leave happy and full. One of my favorite places to go with a small group of family or friends. We were lucky to be put into a small room, as the large one is not made for people to hear one another. Outside of that the pumpkin appetizer is one of the best things I have ever eaten. The waiter, who recommended it, was enormously capable and charming. The wine was superb, and if our nation hadn't turned their's into a misery of fighting, would go over just to explore the cuisine. The food is amazing! Service is excellent! I've been several times and have always had a great experience. This is definitely one of my favorite restaurants. Excellent food. The bread was delicious. 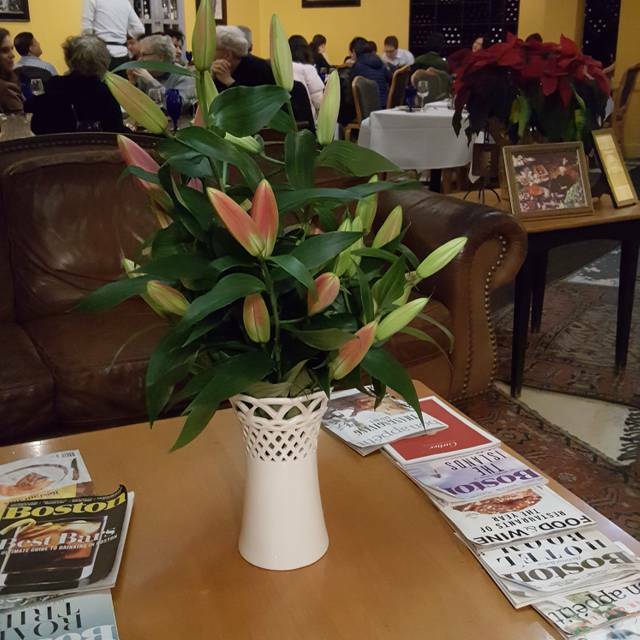 Pleasant atmosphere- great for a meal with friends and family. Food was outstanding! Portions were smaller than we expected for the price, but 1 entrée, 1 appetizer, and 1 side was a perfect amount of food for 2 people. The food was excellent and full of flavor. The meat was well-cooked and tender. Our server was friendly and prompt. The only drawback was the price. I found this place overpriced for the food and drinks ($14 for a glass of cocktail !!). Although we had reserved a table and when we arrived there were plenty of tables available, they put us in a back room in the passage to the kitchen. I was very offended as I wanted to treat my children in a respectable manner, ending up eating in the back chamber (like maid room) was not my idea of 4 stars restaurant. Considering the price quality, I found they are over priced and the quantity served was just ridiculous, for example in their seikh kabab, they put three piece of meat les than 50 grams! A seikh normally should have between 6 to 10 pieces of kebab meat something around 150 to 200 grams. I am familiar with Afghan dishes and I found they are really abusing perhaps the unfamiliarity of people in their serving. All in all I will never go back there. Delicious appetizers and a good variety of main choices for our group of 3 with varying tastes. Really nice experience. Outstanding as always. I’ve been there several times and always love the food, the atmosphere and friendly staff. Consistently excellent food and service - great for large groups so you can try as many dishes as possible. Helmand is a unique place. We have been here several times over the years and they are consistently good-outstanding in all aspects. The food is different than what you would experience in more traditional venues. It is high quality, authentic, and the vegetarian items are different, nicely seasoned and tasty. The ambience is nice and the wine and cocktail offerings are solid, varied and fairly priced. Service is professional without being intrusive. Worth a visit. A couple of unique dishes, but other ethic food options are more appealing. Eating at the Helmand always feels special to me. I love the flavors of all the dishes, their flatbread and sauces are so good, and I love the decor. It is one of my most favorite restaurants. Love this restaurant! The food is perfect every time. I have recommended to many others already. Your food made me so happy! in spite of reservation and reaching 2 mins earlier, had to wait for almost 11 mins. This is fine, but I did watch some other group, having reservation exactly at the same time and same group size as ours, had to wait for more than 25. Restaurant was full so understandably service was a little slower. However, our server was super cheerful and provided great service. Food was all really good, but definitely on the more expensive side, as 2 appetizers and 3 entries (no drinks) costed us almost 165 (including 19% tip). The food was excellent, the location attractive, and we had a wonderful conversation. We will visit again. Service is fantastic in this charming (not so little) restaurant. 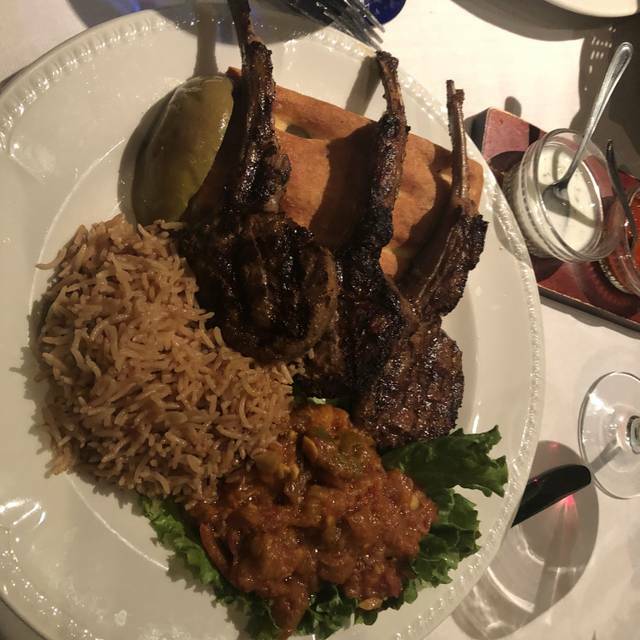 Excellent Afghan cuisine, served in generous portions - the aushak and kaddu were our favorite dishes, but everything was well prepared and tasty. Great new experience. First time trying the cuisine. Everything was soo flavorful. The service is attentive. But may rush the courses a bit when it is busy. Otherwise, great experience would go back again! The portion of my lamb entree was really small and I'm not a big eater. What was there was good. The noise level, however, was just awful. I had to yell just to heard at my table. The food is excellent. We need to go back and try some of the other dishes. Our server (Mohammed) was excellent. He knew all the menu items. Recommend a great appetizer. We sat near the wood fired oven and Rizz (probably spelling his name wrong) the Baker was friendly, entertaining. Just a wonderful night out. The Helmand is a wonderful spot that deserves its long-time fans. A variety of foods that anyone can enjoy as they explore an exotic cuisine. The service is always on point. They seem to genuinely love what they are doing. Unchanging menu of interesting food. The fabulous bread they bring was very overcooked, almost crisp. Hope that doesn't reflect a recipe change. Helmand isn't quite as good as it was before but still worthwhile. We had 2 problems - one was the level of the music which was loud and not conducive to having a quiet conversation among old friends. Second was about an allergen in one of the dishes that wasn't clear. But I would still go back. Some of the appetizers are just delicious and it is still a good choice for a nice dinner with friends. The management has changed at Helmand and the food quality was very different. The cooks might have changd too.